I am one of those people who is obsessed with scones. This love stems from being brought up in a family that would have brunch every Sunday. 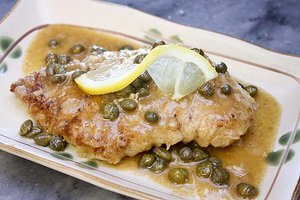 My grandmother was a big-time cook and baker, so every weekend we would gather around my grandparents’ dining room table for a delicious meal. Scones were one of my grandmother’s favorite things to bake. Those warm little treats were always so tender and soft, they would literally melt in your mouth. Alongside a large cup of coffee, it was one of my favorite ways to enjoy the company of my family. From a young age, I was an avid student of my grandmother’s, and I loved learning how to bake these gorgeous little goodies. They were an easy breakfast baked good to whip up (and even easier than most recipes for a clumsy child like myself). 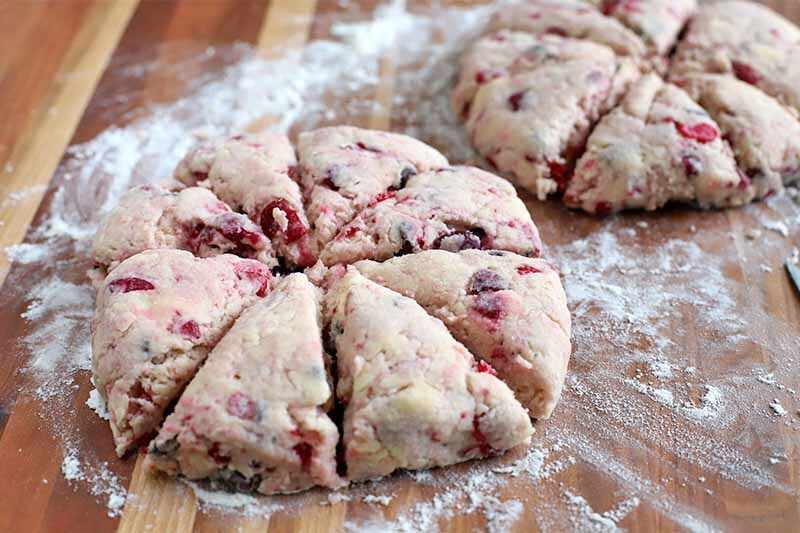 Thankfully, getting flour everywhere is just part of the process when you’re making scones, so it’s okay if things get a little messy. It’s just part of the fun! Right? I have carried this love well into adulthood, baking batches of them just about every single week with new flavor combinations. 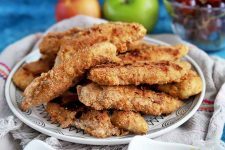 That’s the beauty of this recipe – you can easily make up different flavor combinations. 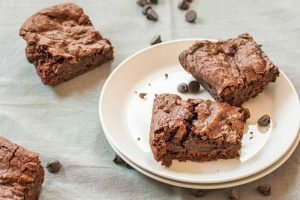 Whether it’s fruit, citrus zest, chocolate, or nuts, there’s really no limit to the possibilities that you can cook up with the simple and straightforward base recipe that you have right here. 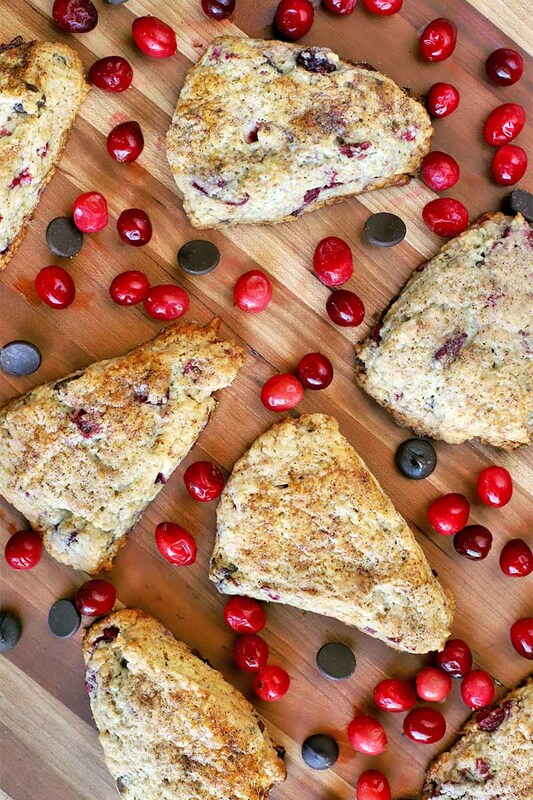 For fall, this combination of cranberries and chocolate chips is exactly what I crave. 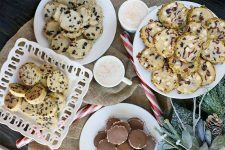 The tart and tangy fruit alongside the gooey melted chocolate chips brings up all of those fall feelings. And the scones themselves are soft and sumptuous. 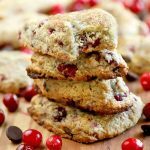 You get a pretty sprinkle of cinnamon sugar on top that brings the added depth of warming spices, as well as a little crunch on the golden brown tops of the scones. I like to make these on a Sunday morning as a little homage to the tradition that my grandparents used to have. 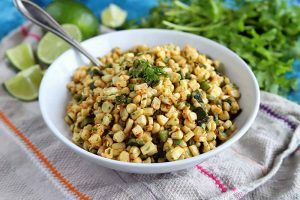 The best part is that a batch makes enough for you to eat a few on Sunday, and then you can enjoy the leftovers throughout the busy week ahead. 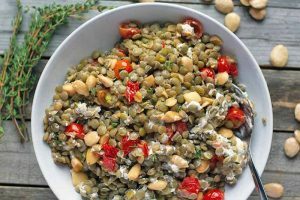 If you have 30 minutes, these are easy to make, and you can keep them stored in an airtight container at your office or in your pantry to have a grab-and-go breakfast at the ready. Plus, they pair well with every caffeinated beverage on the planet. 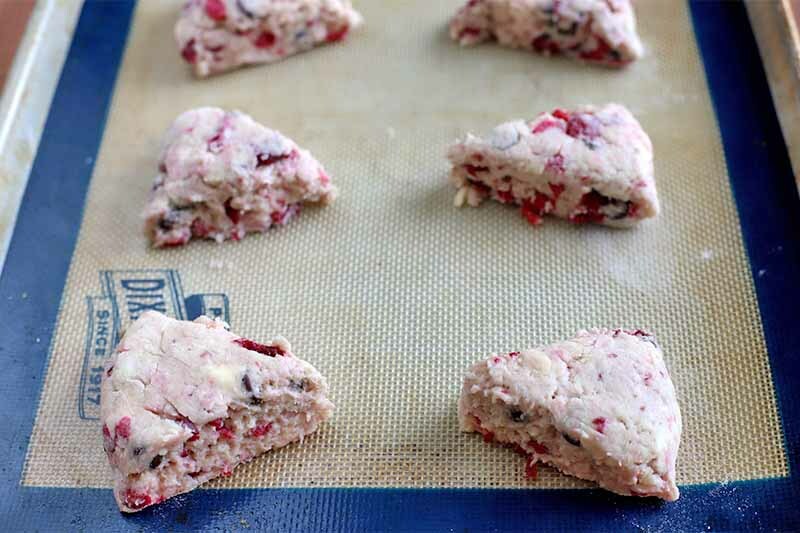 The fun of making these scones is that you can really get your hands in there to bring the dough together. 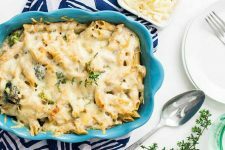 Don’t be afraid to set aside the utensils and dig in! 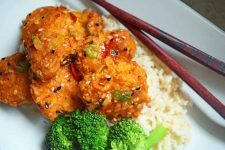 Of course, there’s no kneading necessary with this recipe, and you don’t want to handle the dough too much. 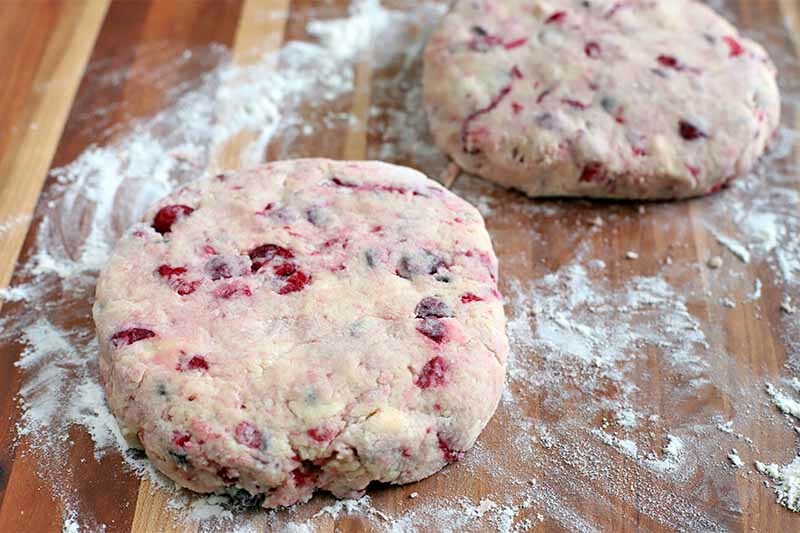 It’s just a little bit of dough handling to get your hands a little messy, but not too messy. As they bake, your home will fill with a sweet scent. And the moment they come out of the oven, you are going to want to shove them all right in your mouth. 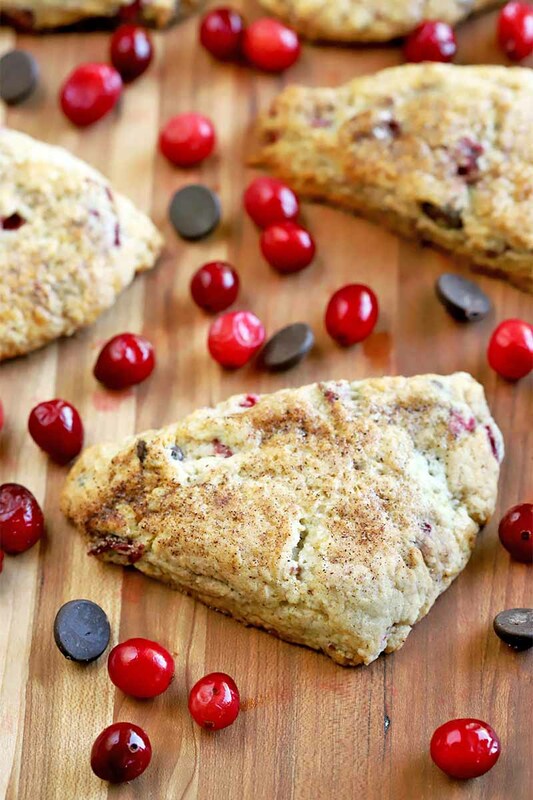 Wake up on the right side of the bed with cranberry chocolate chip scones recipe. 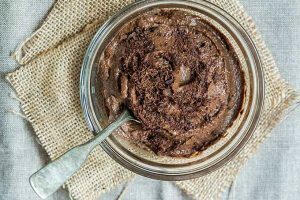 Tangy fruit plus melted chocolate makes for a delightful morning treat. 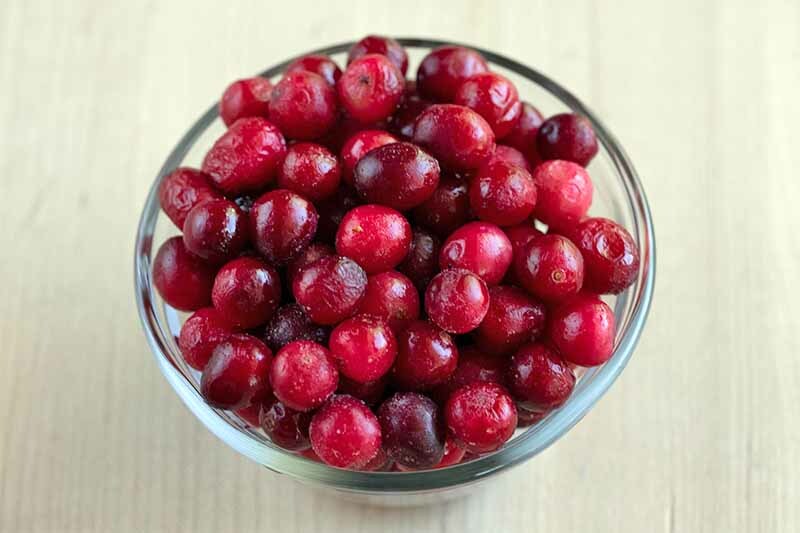 In a small bowl, combine chopped cranberries and brown sugar. Set aside. In a large bowl combine flour, 1/3 cup sugar, baking powder, and salt. Stir well with a whisk. Using a pastry blender or two knives, cut in butter. 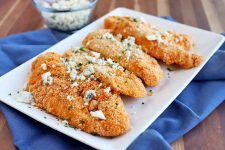 Continue until the butter is nearly incorporated and the mixture is crumbly – the largest crumbs should be the size of small peas. 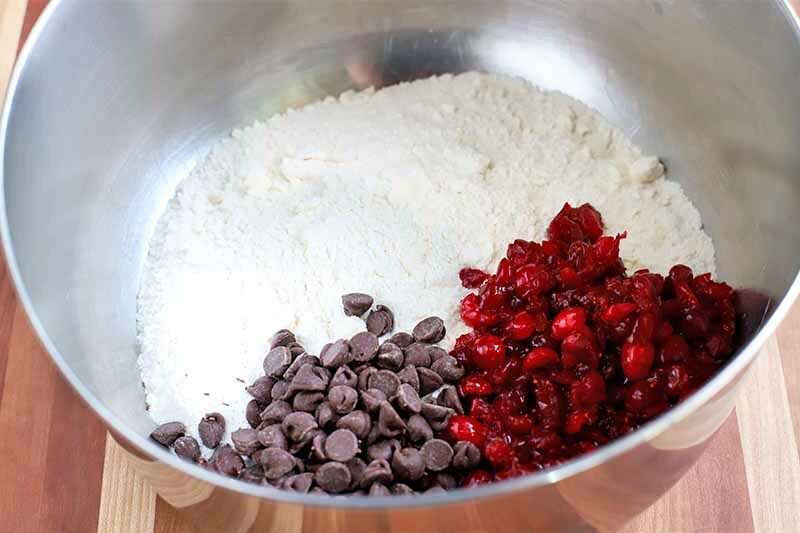 Add sugared cranberries and chocolate. Stir to combine. In a separate bowl, whisk together egg and cream. 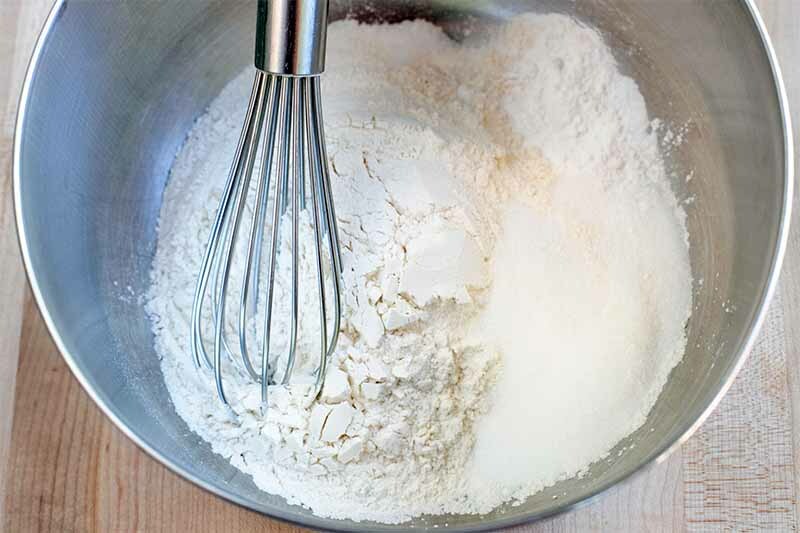 Add egg mixture to flour mixture and stir lightly with a spatula to combine – do not over mix. Place on a lightly floured work surface and divide into two equal balls. Gently flatten each to form a disc approximately 1 inch thick. 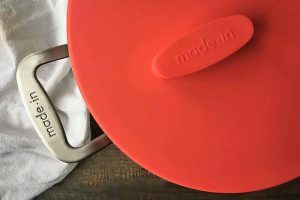 Cut each disc into 8 wedges, similar to cutting a pizza. 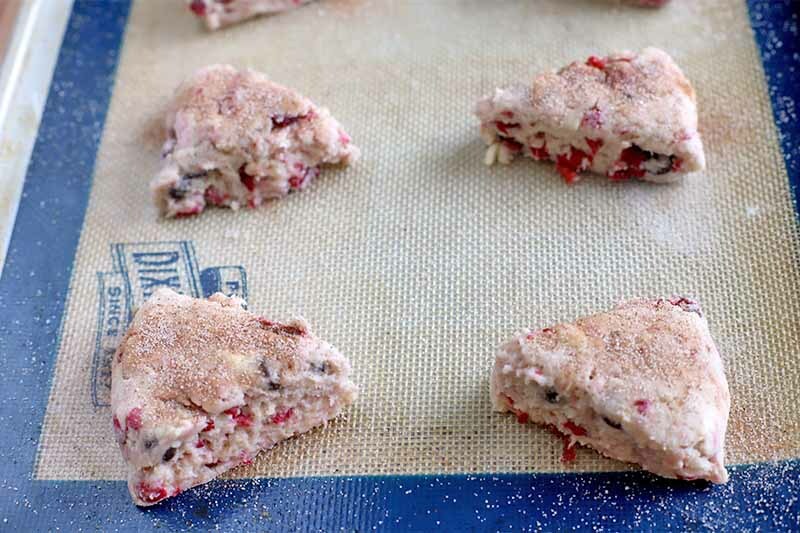 Transfer wedges to two baking sheets lined with parchment paper. 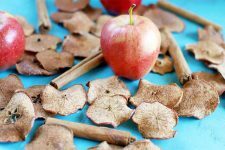 In a small bowl, combine cinnamon and remaining sugar. Brush tops with egg white and sprinkle with cinnamon sugar. Bake 15-18 minutes, or until the tops are golden brown. Cool completely on wire racks. Store in an airtight container. 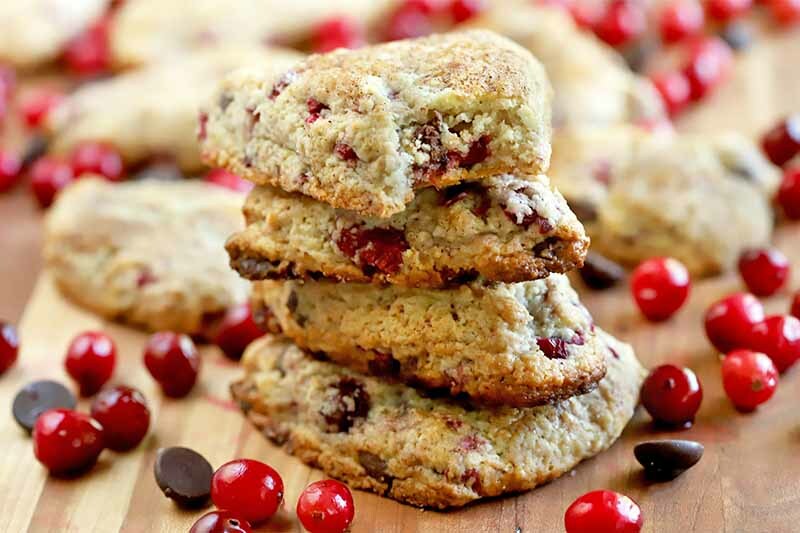 Chop the cranberries, and set them aside. You’re going to need a little patience to do this, since they like to bounce all over the place, or scoot out of the way. 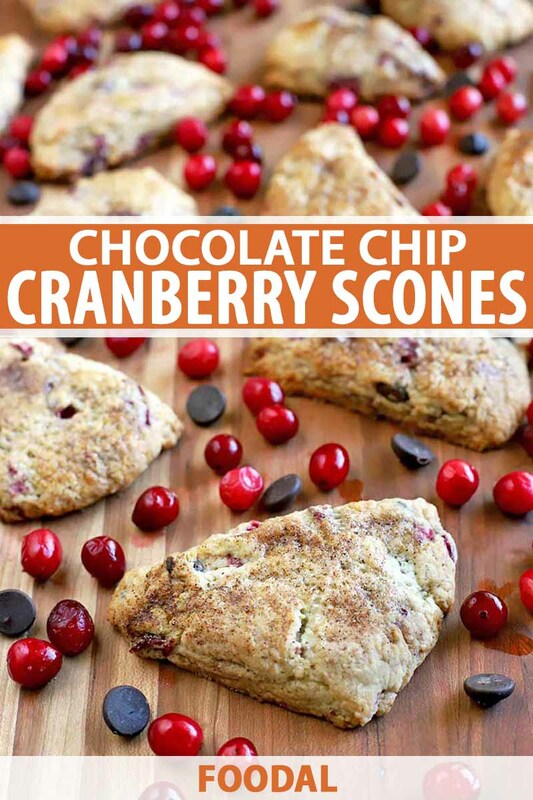 Frozen and defrosted cranberries are fine to use for this recipe as well. Cut one stick of chilled butter into small cubes. 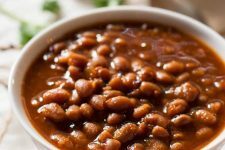 Add these to a bowl and set in the refrigerator until you’re ready to use them. Beat an egg in a small bowl, and set aside. Measure all remaining ingredients and set out in the order listed in the ingredients list. Line two baking sheets with parchment paper or silicone baking mats. Preheat oven to 400˚F. 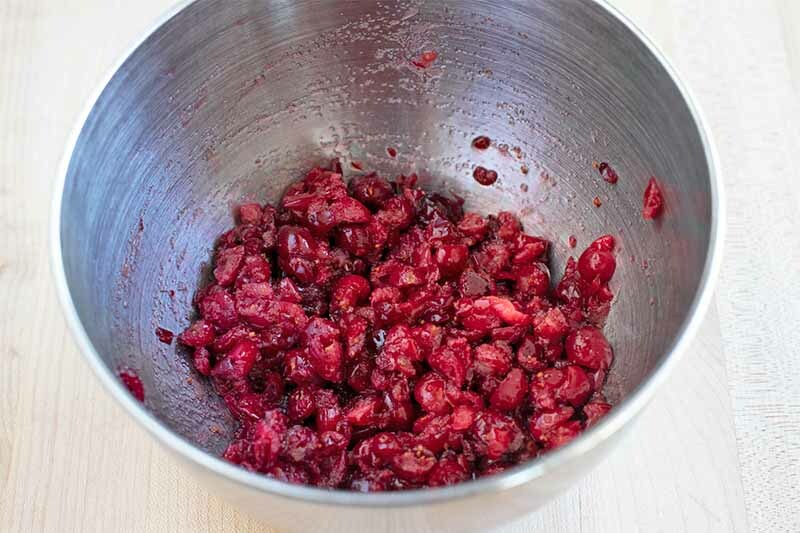 Add the chopped cranberries and brown sugar to a small bowl. Stir together to coat the cranberries well. Add the flour, 1/3 cup sugar, baking powder, and salt to a large mixing bowl. 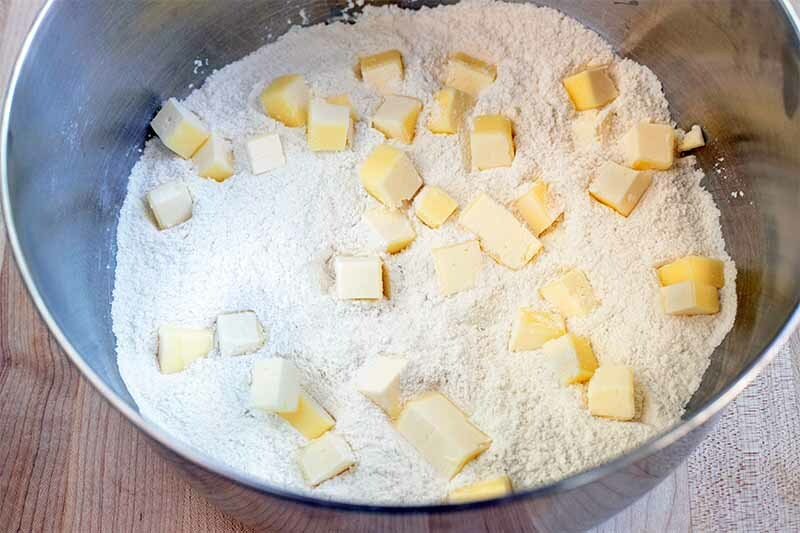 Cut the butter into the flour mixture using a pastry cutter or two knives. Continue until crumbly and the butter is almost completely incorporated. The largest pieces of butter should be the size of small peas. Don’t be afraid to use your fingers to pinch together larger pieces of butter to make them small enough. 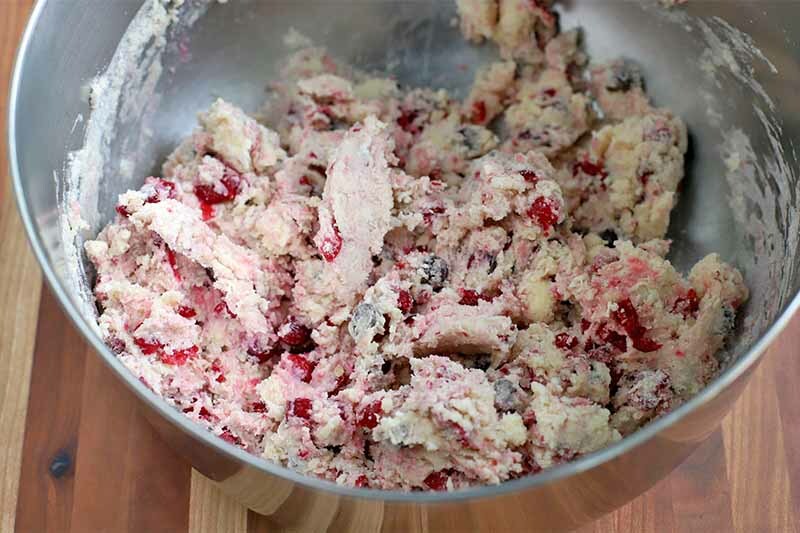 Add the sugared cranberries and chocolate chips to the mixture. Stir to combine. 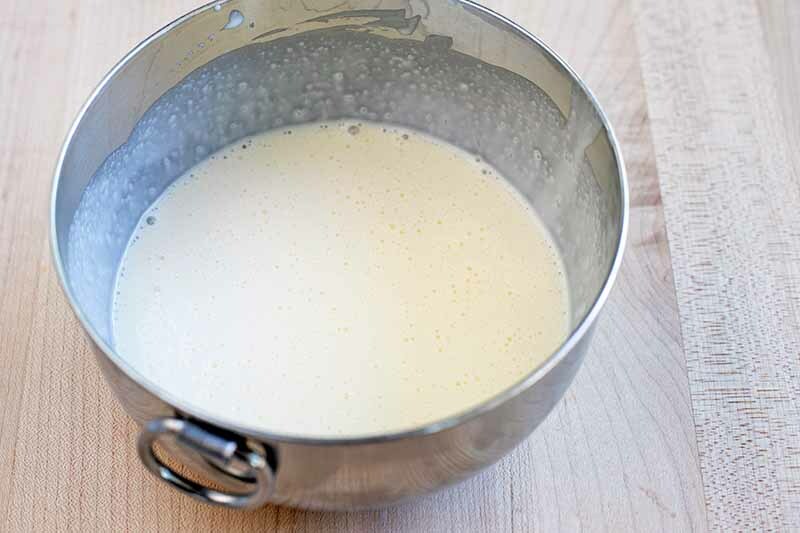 Add the heavy cream to the bowl with the beaten egg and stir to combine. 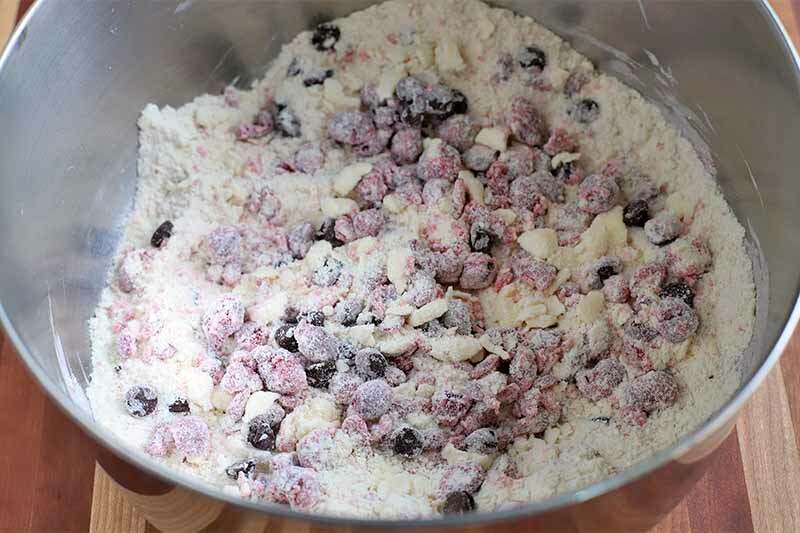 Add the egg mixture to the bowl with the flour and cranberry mixture. Stir lightly with a spatula, making sure not to over-mix. Turn the dough out on a lightly floured work surface. Divide it into two equal balls, and gently press each into a disc that is about 1 inch thick. Cut each disc into 8 even wedges. 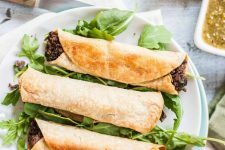 Arrange the dough wedges on the baking sheets, with a little space in between each. In a small bowl, stir together the cinnamon and remaining sugar. Brush the tops of the scones with the egg white, using a pastry brush. Sprinkle the top of each with cinnamon sugar. Bake for 15-18 minutes, or until the tops are golden brown. Serve warm. 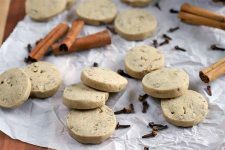 Once they have cooled completely, you can store these scones in an airtight container at room temperature for up to 5 days. 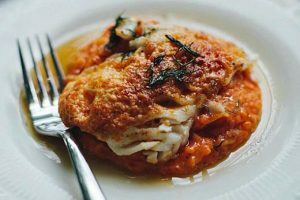 How Can You Change Up This Recipe for Each Season? 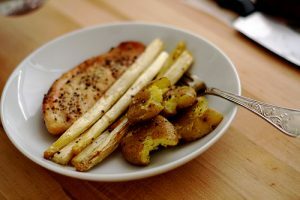 Like I mentioned before, this recipe is pretty simple to modify according to the season. Obviously, you need to try this flavor combination first so you can check out the balance of tangy sweetness. 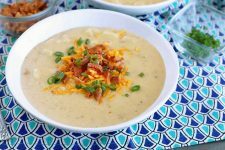 But as the seasons change, you can incorporate different flavors. 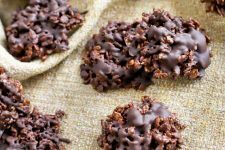 Try dark chocolate chips and orange zest for winter. It tastes like one of those chocolate oranges – remember devouring those as a child? Another combination that I love is blueberries and lemon zest for spring, or chopped strawberries and white chocolate chips for summer. 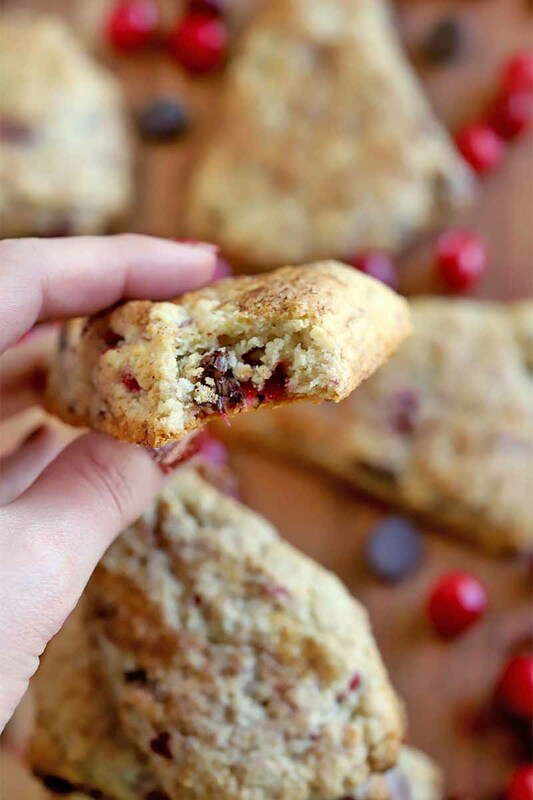 Our grapefruit oat scones recipe is another tasty combo you’ll enjoy to eat in the mornings. 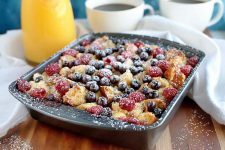 Simply use the same amounts of chopped fruit (no need to chop the blueberries) and chocolate chips (or nuts) as listed in this recipe. Have fun with it! 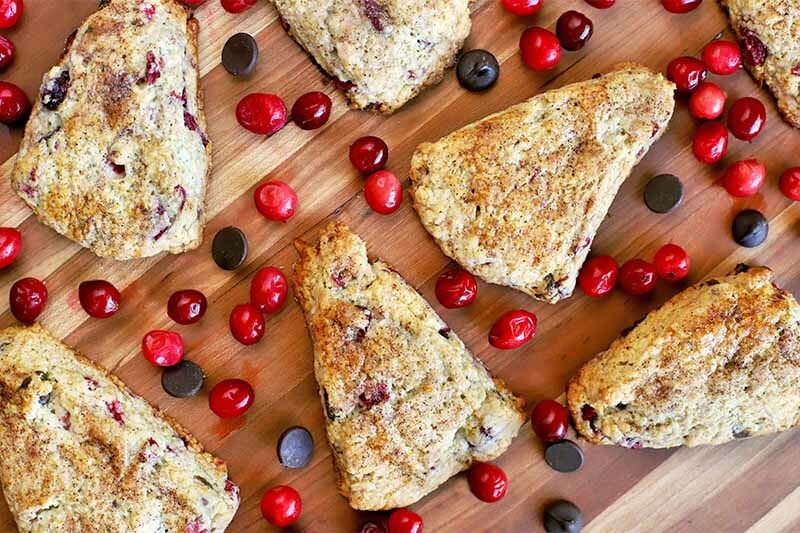 When you eat these scones, what beverage would you want to drink alongside them? Tell us in the comments below, and be sure to rate the recipe when you try it as well. Photos by Meghan Yager, © Ask the Experts, LLC. ALL RIGHTS RESERVED. See our TOS for more details. Originally published on December 14, 2010. Last updated: March 14, 2019 at 20:09 pm. With additional writing and editing by Allison Sidhu.